Happy to share with you my first piece as Culture Contributor for the online style guide Two Inch Cuffs, cherie. 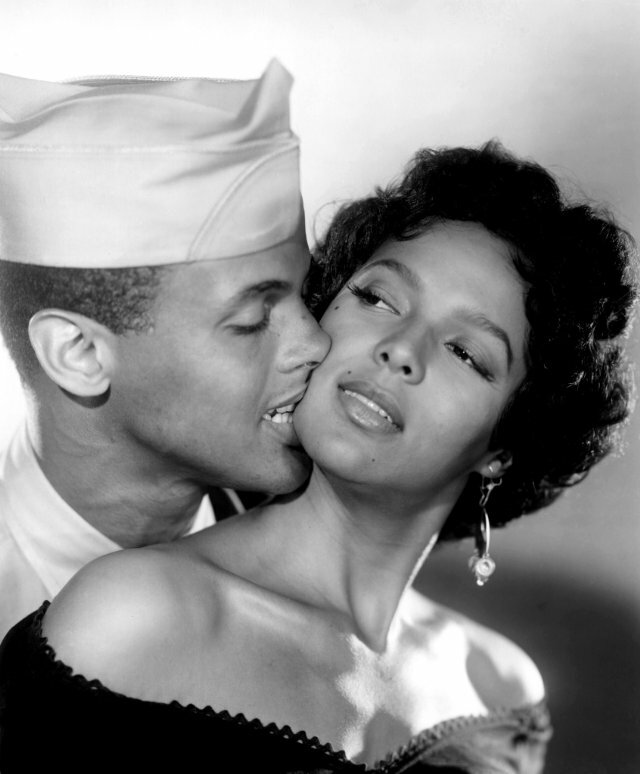 I’ve chosen my Spring 2011 Fashion Muse, and she is Dorothy Dandridge as Carmen in Carmen Jones (1954). Head here for a discussion that includes mention of: spring fever, historic firsts, the opera, Miucca Prada, The Hill-Side, Georges Bizet, wanton hedonism, colorblocking, LIFE Magazine, and floral pocket squares. Yes, really. All that and a darling Prada bag of chips, no? 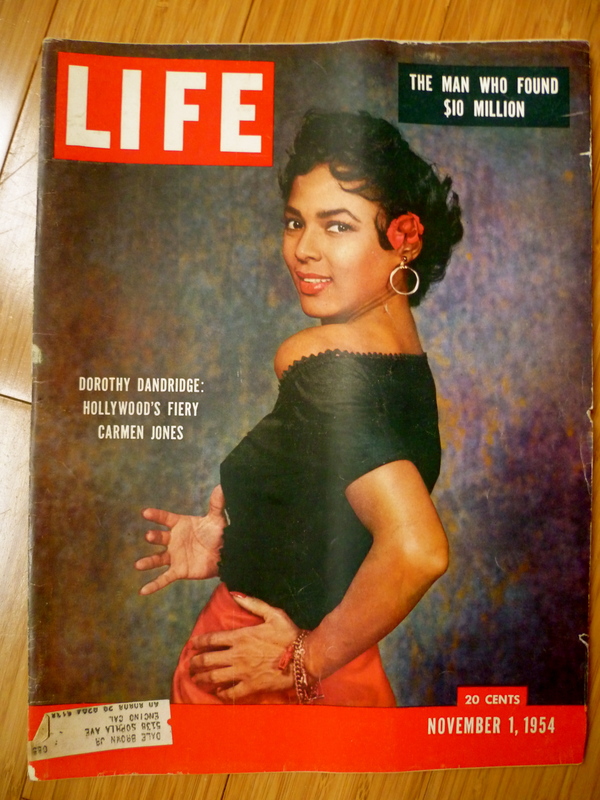 My lovely 1954 Dandridge edition of LIFE Magazine. Be sure to head here to read the feature on Two Inch Cuffs. That’s A Hot Photo. Dorothy Dandridge was one Hot Sista! 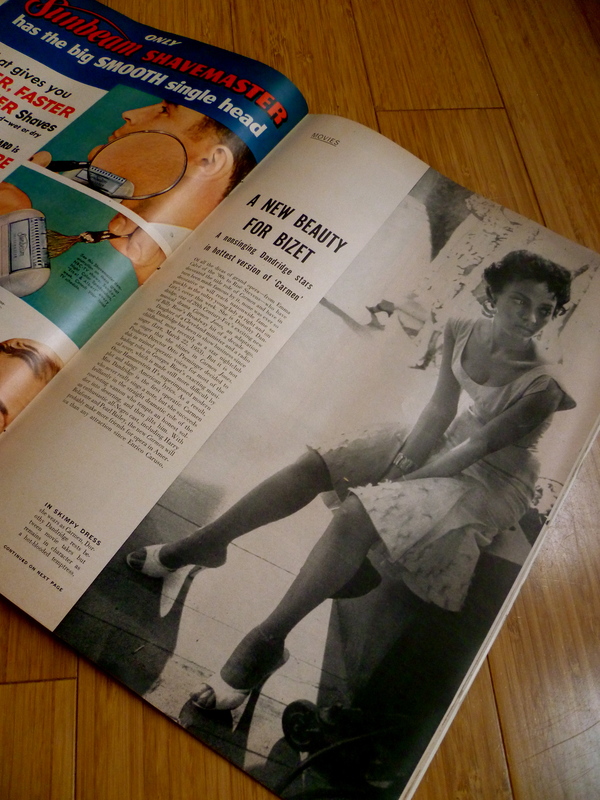 You are currently reading Featured: Quite Continental on Two Inch Cuffs ~ “Carmen Jones: Rebellious Bird” at Quite Continental.